Becky sweet talks JBV Believe It as Judge Roger Potter looks on in the background. 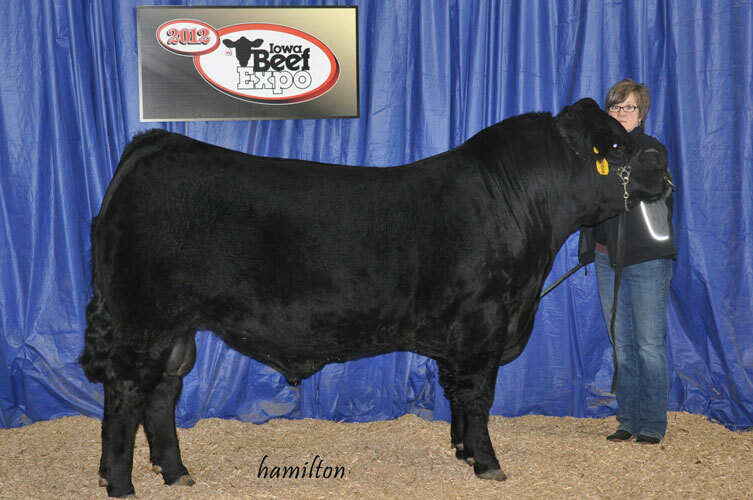 Believe It was selected as Grand Champion Bull at the 2012 Iowa Beef Expo and went on to become the high seller. 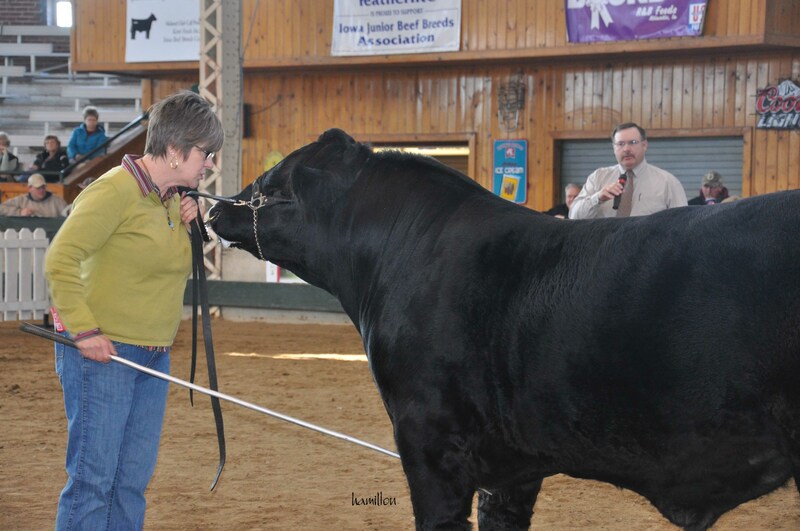 Venner Limousin is honored to have shown the Grand Champion Limousin Bull at the 2012 Iowa Beef Expo. Many thanks To John and Lois Sedlacek of Sedlacek Limousin from Tyndall, SD for making JBV Believe It 025X the high selling Limousin Bull at $9,000. Thanks to all our buyers and to everyone who looked at our IBX consignments. JBV Believe It is a high performing, big bodied herd sire candidate that has made a ton of friends this past summer. With an abundance of top, middle and testicles, we feel that his balance and power help him look like a Limousin bull should. Out of a no-miss dam, this Mr. Unbelievable son exemplifies the quality his sire has provided us. 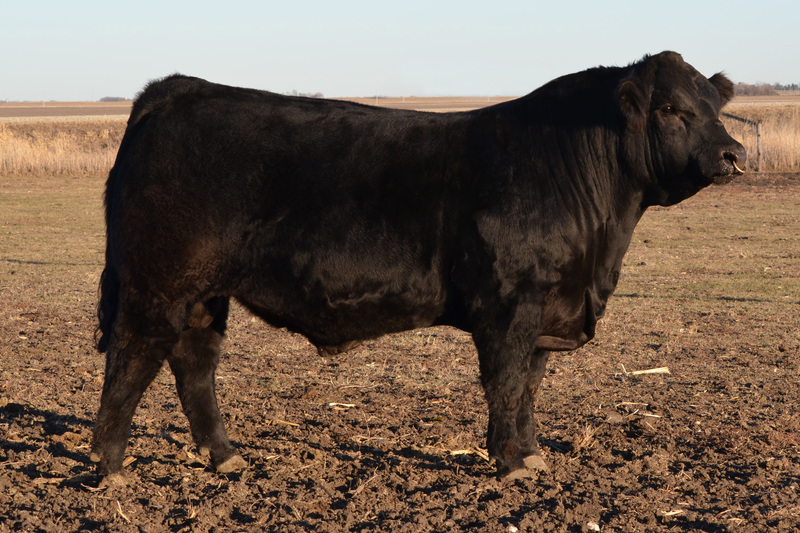 If you are looking for your next herd sire, this black, homo polled purebred deserves your consideration. Reach Jim on his cell at the Expo at 712-830-8381.